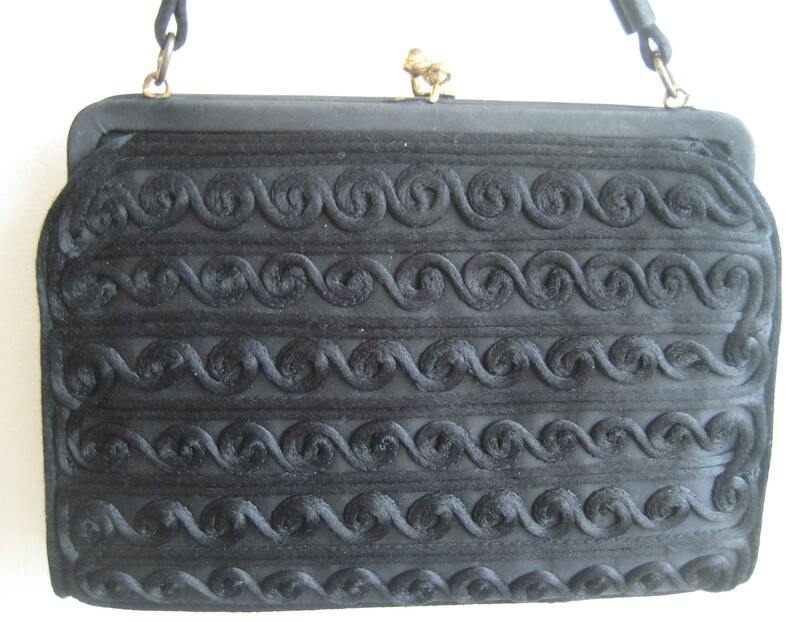 True vintage black evening bag with stunning relief design. 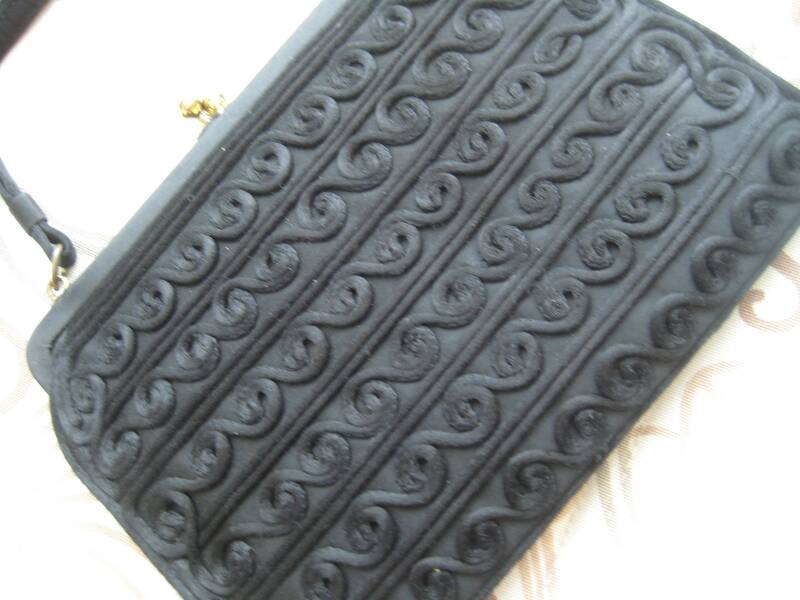 Black satin body covered on the front and back by a sophisticated circular thread design. Satin covered handles with a 5 inch drop. Gold tone metal kiss lock closure. 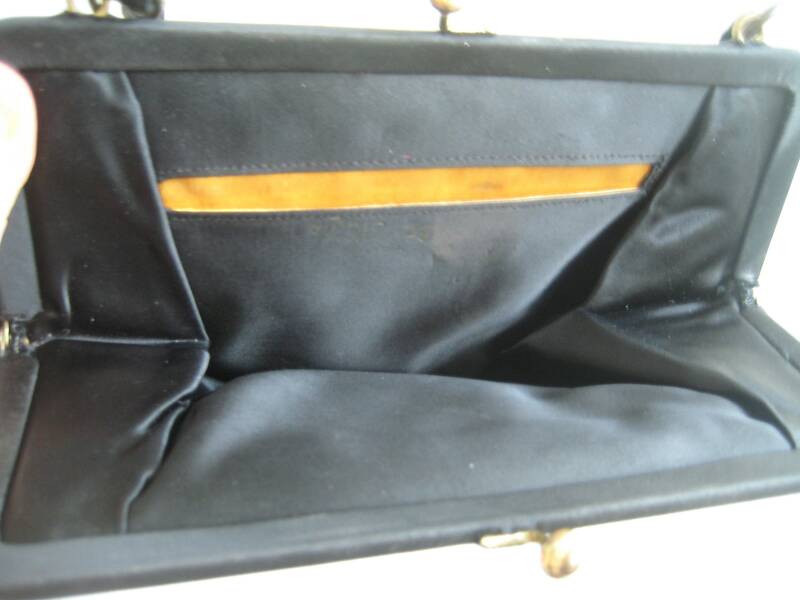 Gorgeous black satin lining with one side pocket, lined with gold satin. Faded embossed label may read, "Walberg Original." Roomy enough for a smart phone, comb, and credit cards. 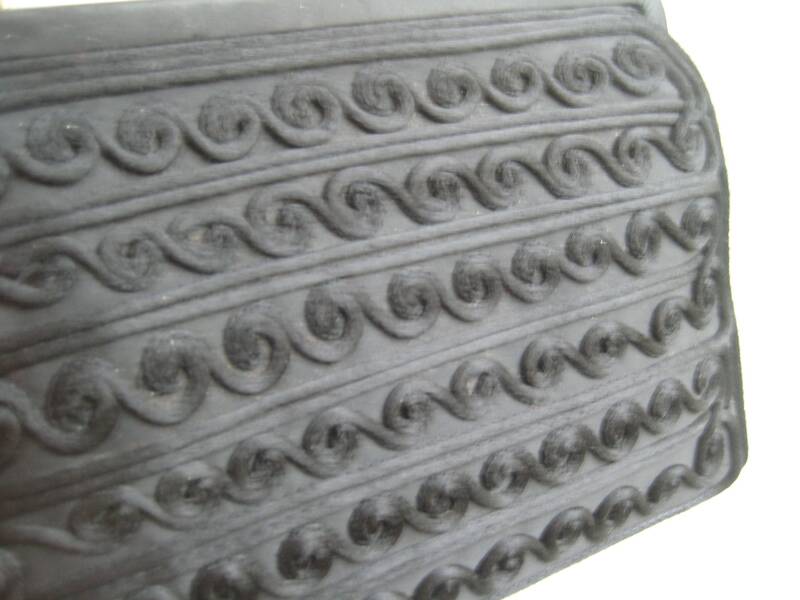 Dimensions: 9 inches long x 6.5 inches tall.